Prior to yesterday, I had (miraculously), not seen this interview with Jason Woody, a friend of Shaun King, that was posted on August 20, the day King was put on blast as being white. To my knowledge, and searching through archives, it appears King never tweeted this interview out....and anytime King doesn't use a friend to his advantage, there's always a reason. In this case it is likely because the guy didn't repeat the narrative correctly and because his "friend" is a member of the occupy movement. 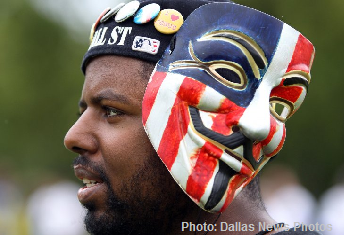 Said friend also wears anonymous masks at rallies. 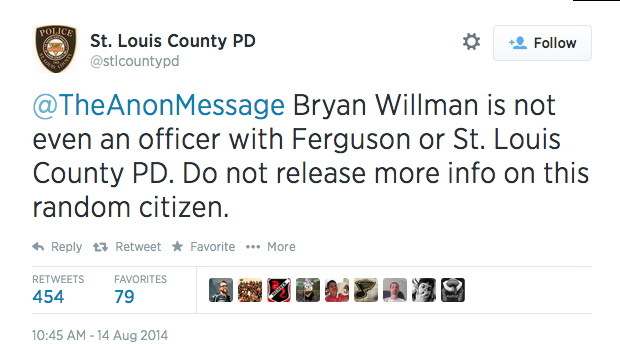 I'm heavily leaning toward a possible connection to the #OpFerguson anons on Twitter, just a hunch though, will research further. Shaun King, a prominent Black Lives Matter activist and prolific journalist for Daily Kos, has spent the last year becoming one of the most-read and most-trusted sources of news about the epidemic of police terror in black communities. This week, he became one of the nation’s top trending hashtags on Twitter after conservative blog Breitbart.com published a poorly-sourced, viral hit piece questioning King’s ethnicity. Rather than go into detail debunking a blogger who sourced another blogger, we talked to Shaun King’s college friend of more than 15 years, who did charity work with him in Haiti after the 2010 earthquake. This gentleman says he has known Shaun King since they were classmates at Morehouse. This can hardly be correct since King graduated (allegedly) in 2001, and Woody graduated in 2007. King is also four years his senior. Jason Woody recalled hearing of Shaun’s experiences during their years at Morehouse. He described King “having a lot of back problems” while they were in school together. 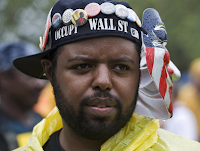 Jason Woody is also a member of the Occupy movement. ATLANTA - (2011) Jason Woody immediately recognized a shared struggle with many of the Occupy Wall Street demonstrators: The 2007 college graduate has been out of work for two years, and it's been longer since he's seen a doctor. He also noticed something else — the lack of brown faces on the front lines of the Occupy movement. Now I'm thinking maybe Shaun King came to the Brown case via his "friend". Woody was arrested during the protests in NYC in 2012. 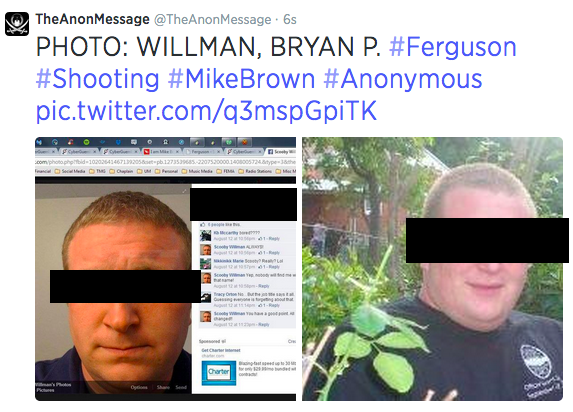 August 14, 2014 - The photo in this tweet from Jason Woody has since been removed but can easily be found using "Photo: Willman, Bryan P. The photo is of an officer that Anon, Shaun King, and others were spreading on twitter and facebook as photo of the officer who shot Michael Brown. 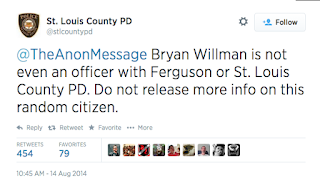 This mistake cost the officer dearly as far as privacy, people were showing up at his house. Well @ShaunKing you asked... RT "@TheAnonMessage: PHOTO: WILLMAN, BRYAN P. #Ferguson #Shooting #MikeBrown #Anonymous http://t.co/5hDyaaBjsX"
Also, for those connecting dots in the Kendrick Johnson case, here's a lawsuit filed by Woody and Vincent Fort, the State Senator for Fulton County.